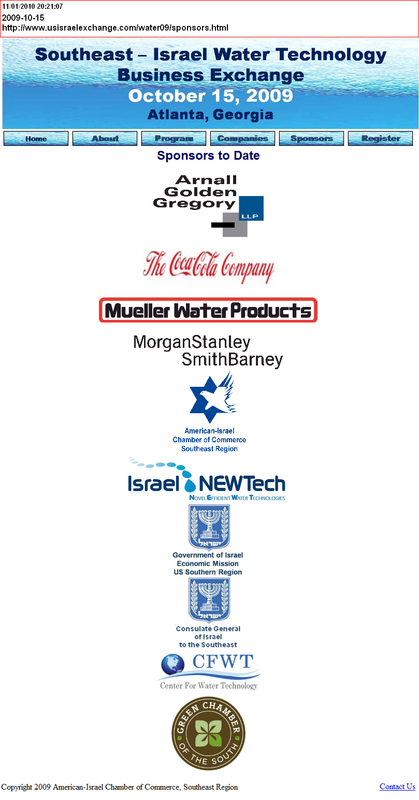 Every year Coca Cola bankrolls the American-Israel Chamber of Commerce Awards which honors companies that have contributed most to the Israeli economy. 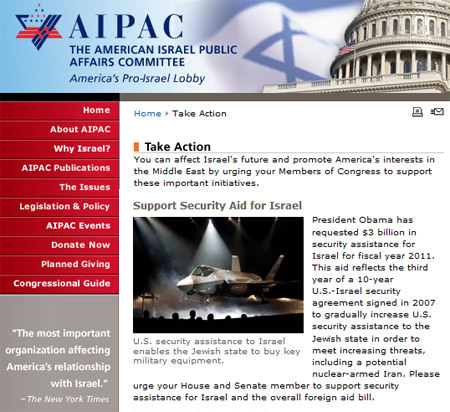 In 2009 a Coca-Cola sponsored award went to Israel’s Lobby AIPAC for its lobbying of the Senate to reject of the UN call for "immediate ceasefire" and endorse the continuation of the Israel military assault on Gaza. Coca-Cola Israel owns dairy farms in the illegal Israeli settlements of Shadmot Mechola in the Jordan Valley and a plant in the industrial zone of Katzerin n the occupied Golan Heights. The Coca Cola Company, with a portfolio of more than 3,000 beverages, is the worlds largest beverage company operating in more than 200 countries. In 2008 Coca-Cola made a gross profit of over $20 billion. It makes its money by supplying concentrates, beverage bases and syrups to its bottling partners world-wide. 76% of Coca-Cola bottlers around the world are owned or partly owned by the Coca-Cola Company. The bottling partners manufacture, package, merchandise and distribute the beverages to their customers who then sell it to consumers. 1.6 billion Coca-Cola's are consumed every day. From 1966 onward Coca-Cola has been a staunch supporter of Israel. According to the Israeli Consulate in Atlanta "The Consulate and Coca-Cola share a strong relationship and the firm is one of Israel's close trading partners." 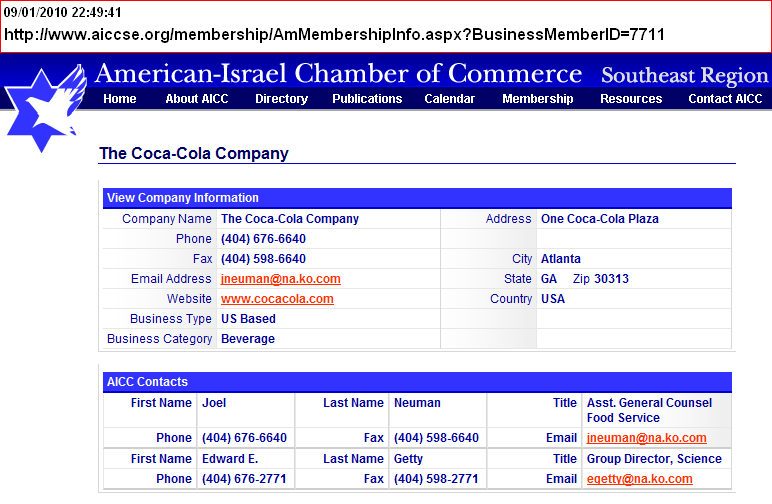 Coca Cola has always been very closely linked to the American-Israel Chamber of Commerce (AICC). The AICC's mission statement is to boost the Israeli economy by fostering business relationships between Israel and the US (Southeast). Since its founding in 1992, AICC has been involved in completed transactions with Israel valued at more than $950 million. most to the Israeli economy. 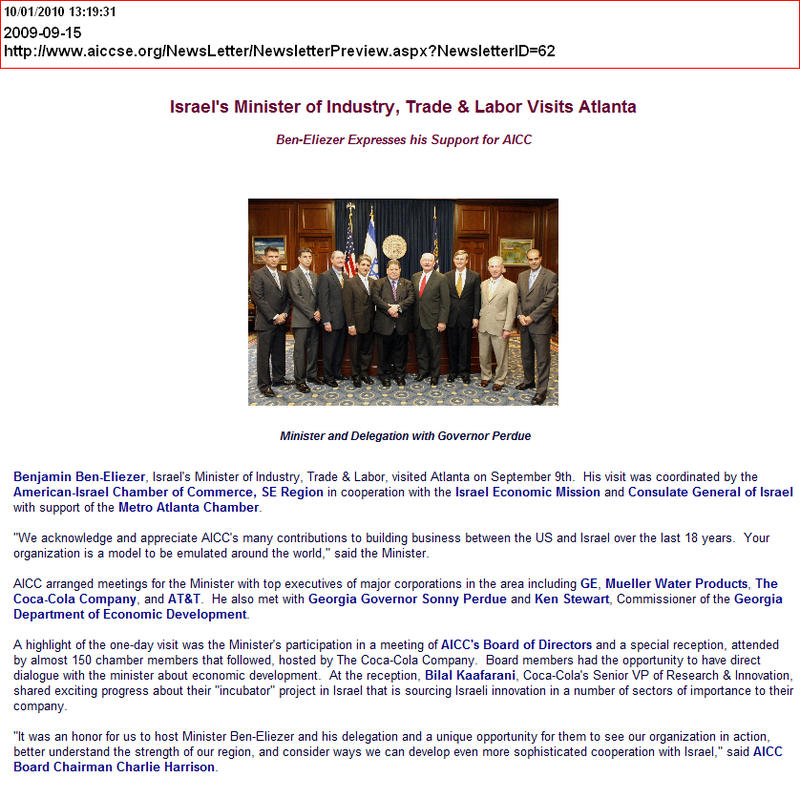 Like Coca Cola, AICC is also based in Atlanta - it shares a suite with the Israel company GPV. AICC's leadership seems to always includes executives from the Coca Cola Company and in return Coca Cola bankrolls many of AICC's activities. The American-Israel Chamber of Commerce (AICC) current Vice Chairman is Joel Neuman from The Coca-Cola Company, the AICC website states that Neuman and the rest of the leadership is "committed to opening doors for Israeli companies within their own companies and network of connections." Courtesy of AICC's door opening, Coca-Cola Enterprises is now using the services of the Israeli company GreenRoad, which produces software to aid driving behaviour. Coca Cola actively encourages other companies to invest in Israel by sponsoring awards to companies that boost Israels economy. 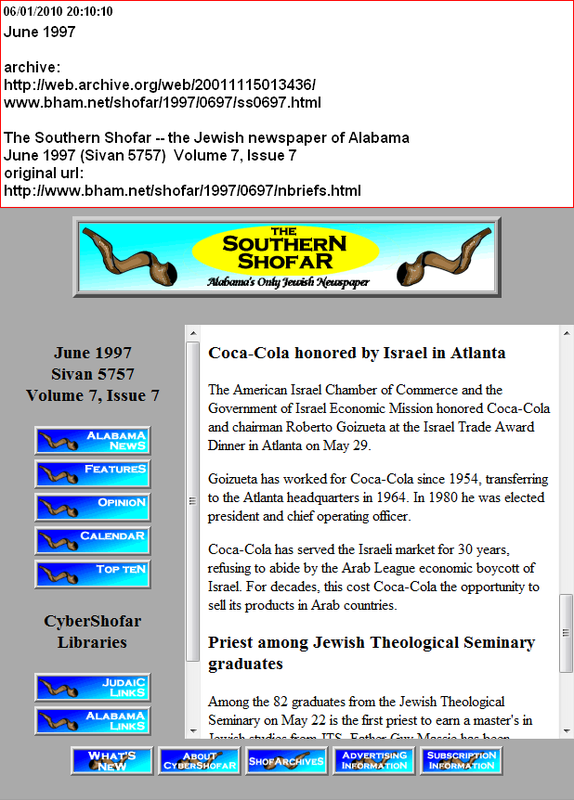 In October 2001 Coca Cola bankrolled and hosted the very first American-Israel Chamber of Commerce Awards Gala at the Coca-Cola Company's world headquaters on North Avenue, Atlanta to honour those companies and deals that have contributed most to the Israeli economy. The awards were given out by Israel’s Economic Minister to North America Zohar Peri. 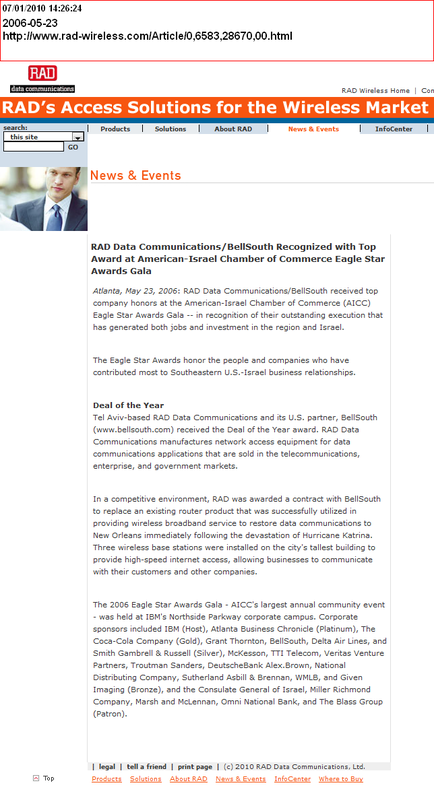 In May 2003 the Coca Cola sponsered American-Israel Chamber of Commerce Awards Gala featured as its key note speaker the Israeli Ambassador to the U.S. Dany Ayalon (current Deputy Foreign Minister - 2010). Every year Coca Cola bankrolls the American-Israel Chamber of Commerce Awards which honors companies that have contributed most to Southeastern U.S.-Israel business relationships by generating both jobs and investment in Israel. Israel military assault on Gaza. And again in 2007 Coca Cola hosted the American-Israel Chamber of Commerce Awards Gala at the Coca-Cola Co's headquaters. Coca-Cola’s Israel country manager and strategic planning director for the Eurasia Group, Richard Izsak, was the keynote speaker at the Gala. In May 2009 Coca-Cola sponsored American-Israel Chamber of Commerce Eagle Star Awards bestowed the "Community Partner Award" to Israels Lobby AIPAC for its successful lobbying of the Senate to reject of the UN call for "immediate ceasefire" and endorse the continuation of the Israel military assault on Gaza..
Coca-Cola sponsered the American-Israel Chamber of Commerce "Southeast - Israel Water Technology Business Exchange held in Atlanta on October 15 2009. Nine Israeli companies pitched their wares followed by one to one meeting with municipal operators and local companies. "We’re pleased to have brought these companies together, and trust that the event will produce business for the Israeli companies and solutions for the Southeast operators and companies" said Gene Rubel of AICC. 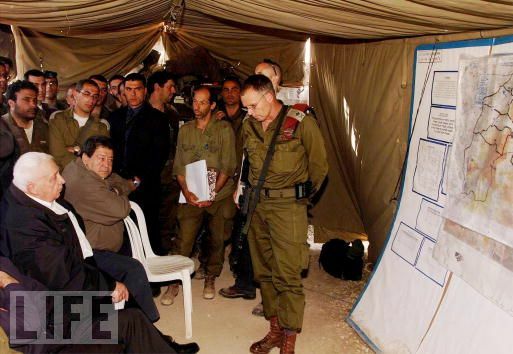 Israeli Prime Minister Ariel Sharon (L), and Defense Minister Brigadier-General Binyamin Ben Eliezer at an army camp outside the Palestinian refugee camp of Jenin in the West Bank, 10 April 2002, being briefed on the progress of the on-going slaughter of the Palestinian inhabitants which began 7 days ago. Dr. Yitzhaki reports that Palestinian volunteers in the Egyptian army were executed Nazi-style in El-Arish in 1967. Gabby Biron, a right-wing journalist who witnessed the murder of about 10 POWs before being forced to leave, confirmed Yitzhaki's report. 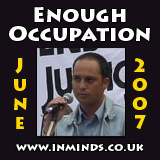 Biron says that Israeli intelligence officers put POWs one by one through a short interrogation. If the IDF determined by the prisoner's accent that he was Palestinian, he was taken behind the building, forced to dig his own grave, and shot. According to Holocaust survivors, the incident bears a striking similarity to Nazi tactics. 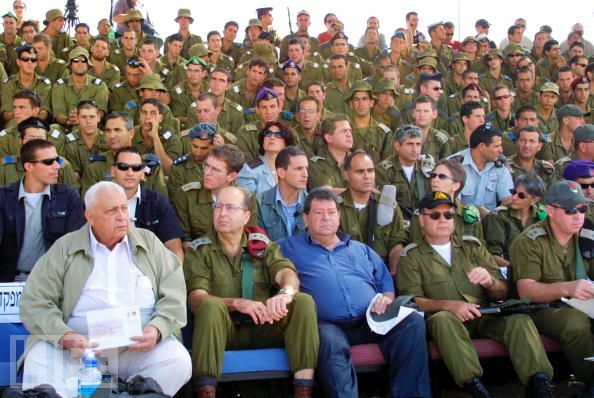 Defense Minister Brigadier-General Binyamin Ben Eliezer(R), Army Chief of Staff Lieutenant General Moshe Yaalon (C) and Israeli Prime Minister Ariel Sharon (L) - three war criminals watching an army exercise at Shizafon amy base in southern Israel (9 Oct 2002). Ben-Eliezer was the First Commanding Officer in Southern Lebanon, appointed in 1977, acting as a liaison between the local Christian militias and Israel, laying the foundations for the collaboration which would result in the Sabra Shatilla massacre in 1982. From 1978-1981 he was the Military Governor of the West Bank and from 1983-1984 he was the Government Coordinator of Activities in the Occupied Palestinian Territories. Under Sharon, Ben-Eliezer served as Defence Minister (Mar 2001- Oct 2002) during Operation Defensive Shield where Israel brutally attacked and reoccupied Palestinian cities perpetrating war crimes with total disregard for civilian populations, prominent among them was the massacre at Jenin. 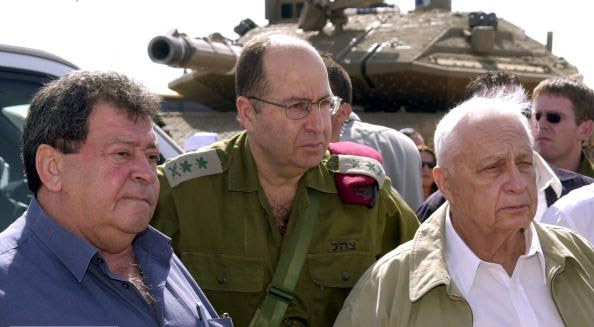 Defense Minister Brigadier-General Binyamin Ben Eliezer(L), Army Chief of Staff Lieutenant General Moshe Yaalon (C) and Israeli Prime Minister Ariel Sharon (R) - three war criminals. 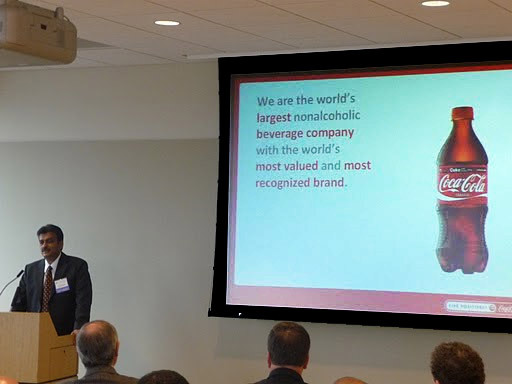 In December 2009 The Coca-Cola Company's Senior Vice President (Research & Innovation), Bilal Kaafarani, was the keynote speaker along with Israeli Ambassador Michael Oren and Israeli Minister of Infrastructure Uzi Landau at the "US & Israel: Confronting Challenges" meeting in New York. The event was organised by the Israel-America Chamber of Commerce which is the Israeli partner of the American-Israel Chamber of Commerce. currently president of Coca Cola Israel. Lyndon Johnson ensured Israel didn't have to sign the NPT. 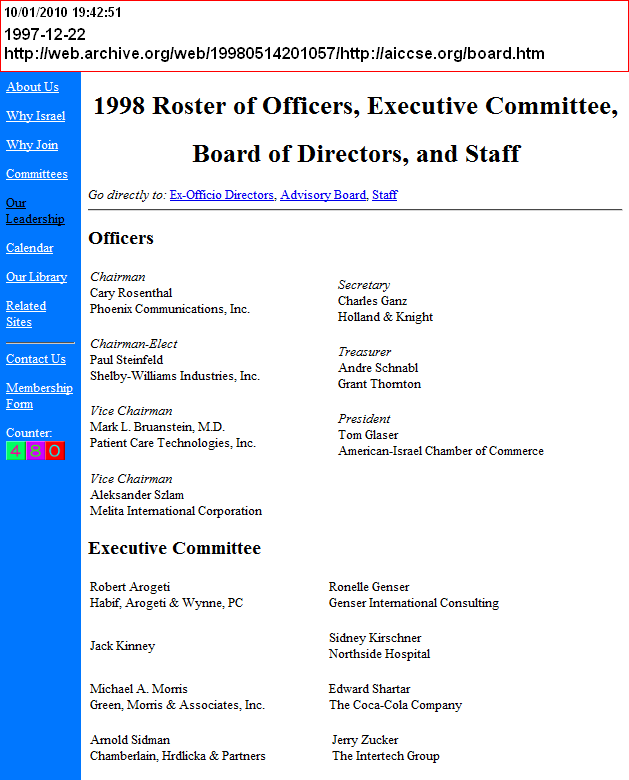 The Israel-America Chamber of Commerce was headed for five consecutive years (91-96) by a Mossad operative called Moshe Wertheim. 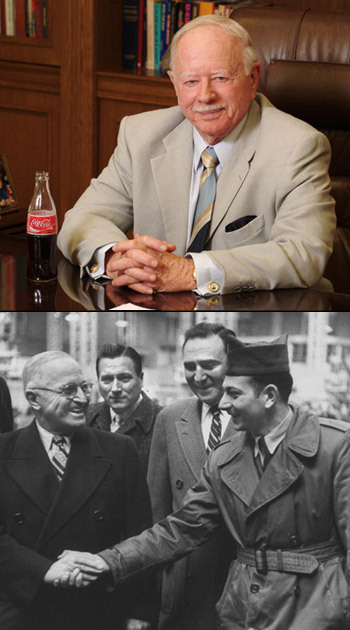 Wertheim along with Abraham Feinberg had brought Coca Cola to Israel in 1968, Wertheim is currently president of Coca Cola Israel. 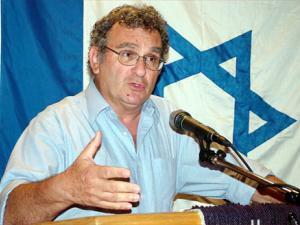 Abraham Feinberg was Coca-Cola Israel's CEO until he died in December 1998. 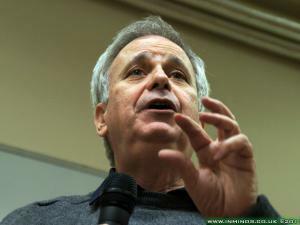 He is described by the New York Magazine as "an ardent Zionist and towering member of the American Jewish lobby. Feinberg has played the power game in high places since 1948 when he single-handedly arranged the financing of Truman's underdog whistle-stop campaign. As a result of this coup and his intimate ties to Israeli leaders from David Ben-Gurion to Itzhak Rabin, he became a trusted Truman ally and an insider in all Democratic administrations since." Declassified State Department documents revealled that it was Feinberg's influence on President Lyndon Johnson that ensured Johnson didn't compel Israel to sign the nuclear non-proliferation treaty before delivering 50 Phantom fighter jets to Israel which had previously been contingent upon Israel forgoing nuclear weapons. Coca Cola Israel (aka Central Bottling Company), with an annual turnover of over $900 million, is among Coca-Cola’s ten largest single-plant bottling facilities worldwide. It provides nearly 5000 jobs in Israel. 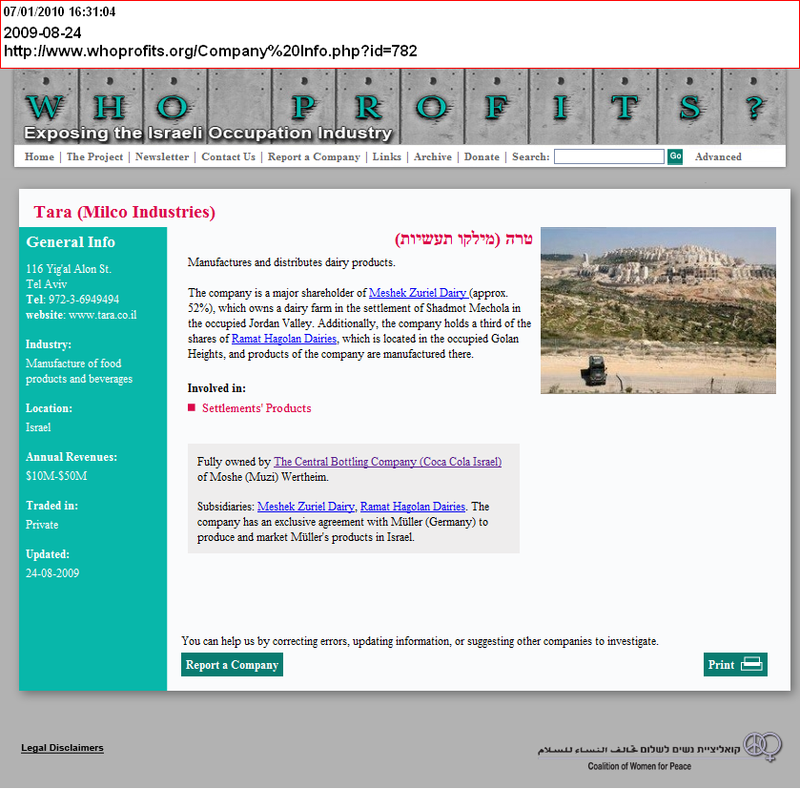 Coca Cola Israel owns Tara Dairies, Israel's second largest dairy, which has dairy farms in the illegal Israeli settlelemts on the West Bank. Tara is a major shareholder of Meshek Zuriel Dairy (approx. 52%), which owns a dairy farm in the settlement of Shadmot Mechola in the occupied Jordan Valley. Additionally, the company holds a third of the shares of Ramat Hagolan Dairies, which is located in the occupied Golan Heights, in the industrial zone of Katzerin where the products of the company are manufactured. Coca-Cola Israel also supports the Jewish National Fund and sponsers training programs for its workers on subjects including the Israeli-Arab conflict. 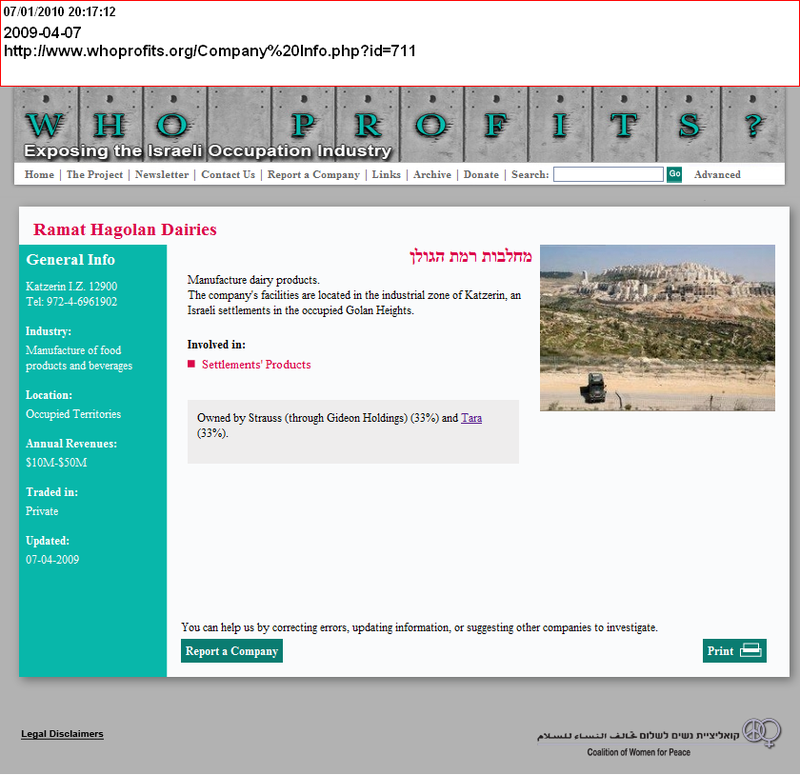 The course content is created by a company funded by the Jewish Agency and the Israeli government. In July 2002, it was announced that Coca-Cola Israel, in return for $55 million in incentives from the Israeli government, is to build a new plant on stolen Palestinian land at Kiryat Gat employing 700 workers. This development did not go ahead due to grant disputes and a new potential location (Ashkelon). In October 2005, Coca-Cola Israel increased its investment in Israel by buying a 51 percent controlling interest in the Tavor Winery. 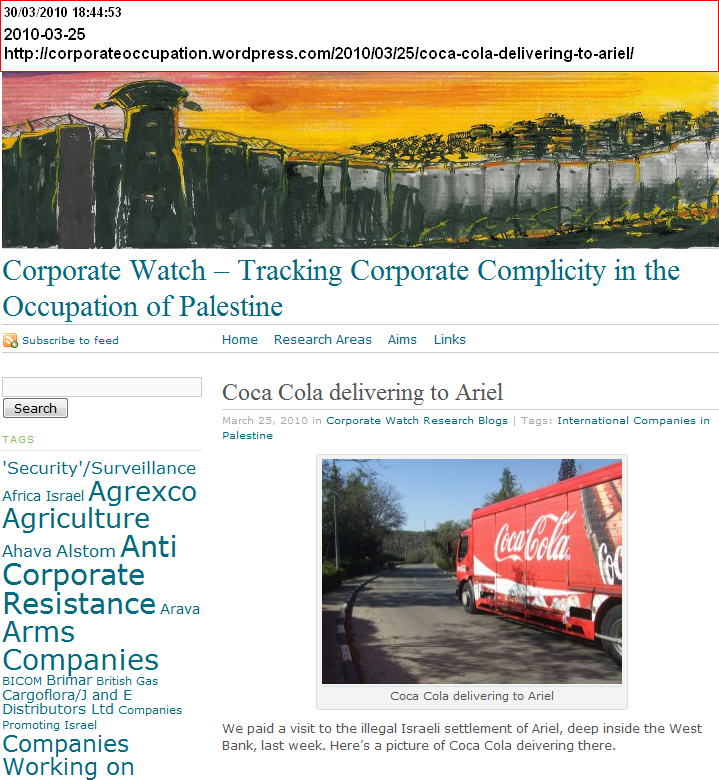 In March 2007 Coca Cola sent a trade delegation of top executives to Israel. According to Ilan Friedman of the American Israel Chamber of Commerce "the goal is to invest, acquire companies, sign strategic agreements with companies and funds, or merge with Israeli technology companies." It was the first time the American Israel Chamber of Commerce had ever taken representatives from a single corporation to Israel. Following the trade delegation, Muhtar Kent, President and Chief Executive Officer of The Coca-Cola Company, in June 2008 addressing the Israel Food Industries Association conference in Tel Aviv revealed Coca Cola's investment plan for Israel: "We've also set up an incubator program in Israel that focuses on new ideas and technologies emerging in areas like packaging, functional ingredients and water usage. Our goal is to select the most promising technologies, test them and commercialize them." 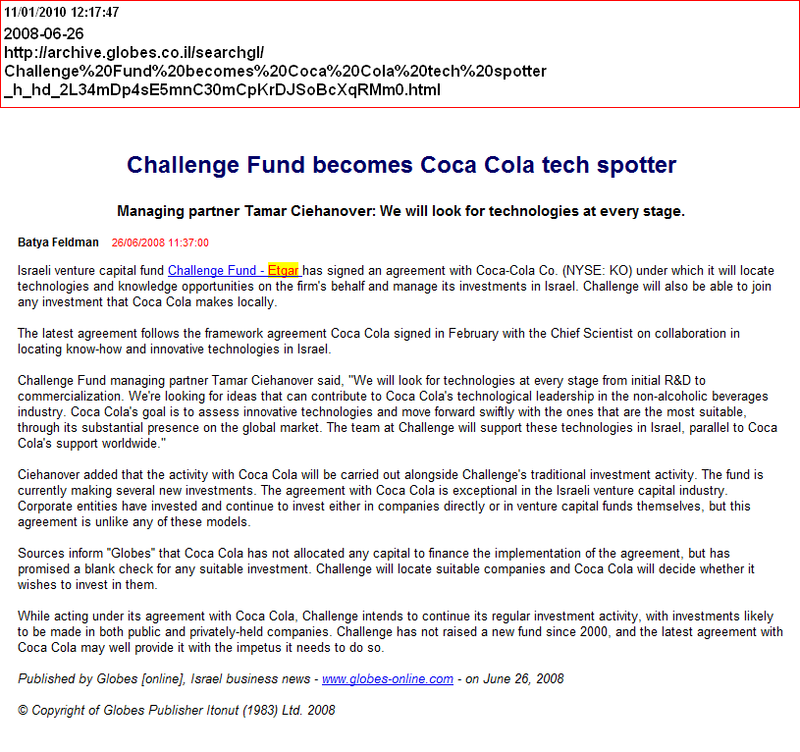 Coca-Cola has tasked the Israeli venture capital fund Challenge Fund to locate technology opportunities on the firm's behalf and promised "a blank check" for any suitable investments. This agreement with Coca Cola is exceptional in the Israeli venture capital industry. In August 2009 Muhtar Kent, the Chairman of the Board and Chief Executive Officer of The Coca-Cola Company, was invited to Israel to speak at the Globes Conference on Social Responsibility in Tel Aviv. In his surreal speech on 'Social Responsibility' he praised Coca-Cola's 'great bottling partner' in Israel the Central Bottling Company (aka Coca Cola Israel) and talked of "Our vision of sustainability at Coca-Cola is a world where all people have access to safe water.. where our communities and our neighbors are prosperous.." - this a few miles from besieiged Gaza where Amnesty International in its report for the same year titled "Troubled Waters: Palestinians denied fair access to water" revealled "90-95% of the water in Gaza is contaminated and unfit for human consumption" - Gazans (56% of whom are children) have to drink contaminated water because Israel is denying them drinking water. Coca Cola CEO never once mentioned Gaza - as if it never exsisted, instead he praised Golda Meir as a 'great leader' reflecting 'social responsibility'. Golda Meir had likewise denied the existance of the Palestinian people - "There is no such thing as a Palestinian people... It is not as if we came and threw them out and took their country. They didn't exist." He went on to talk of Coca Cola's sponsership of the Special Olympics and how he had met several Special Olympic athletes from Israel, but again never mentioning Palestinian athletes like 21 year old Lyad Abuelkheir who suffers from Down's syndrome and was due to compete in the handball competition at the Special Olympics in Ireland in 2003 but was preveted from attending by the Israeli authorities despite holding an Irish visa. 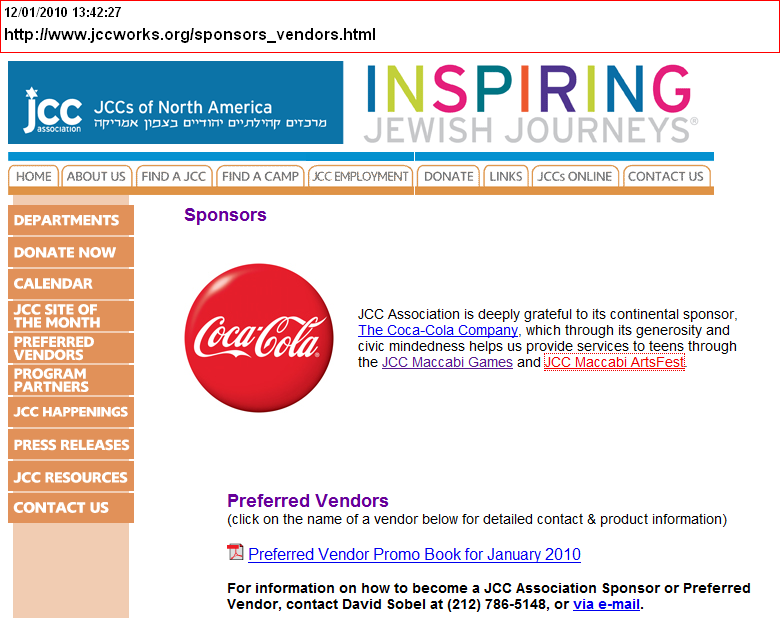 For most of the last two decades, every year Coca Cola has sponsored the JCC (Jewish Community Centre Association), in particular JCC Summer Camps (eg $77,500 in 2007) and the JCC Maccabi Games where 6000 Jewish teens from different countries participate each summer. to "encourage their identification with the state of Israel"
In its mission statement it states that the JCC Maccabi Games aims to cultivate Jewish youth in an informal setting to "encourage their identification with the state of Israel". 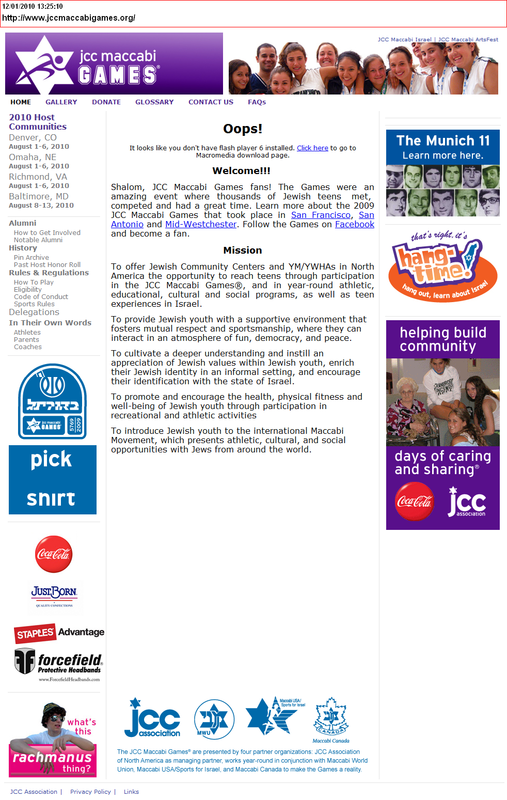 The JCC aims to "strengthen connections between North American Jews and Israel". The JCC achieves this through recruiting emissaries from Israel (shlichim), who are specially trained to whitewash Israels crimes, to help run their summer camps. The Jewish Agency for Israel trains shlichim, as a requirement it insists all candidates must have served in the Israeli army (IDF). 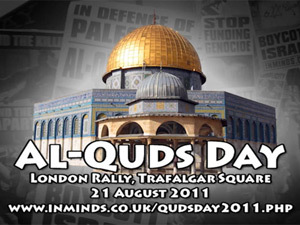 Those targeting yougsters must "endeavors to impart Jewish heritage and Zionism, to encourage members of the community to visit Israel.. and representing Israel before the general public". The JCC sends youth delegations on propaganda trips to Israel where the reality of the occupation is hidden away. It also has strong links to the military ("serving the needs of Jewish military personnel"). 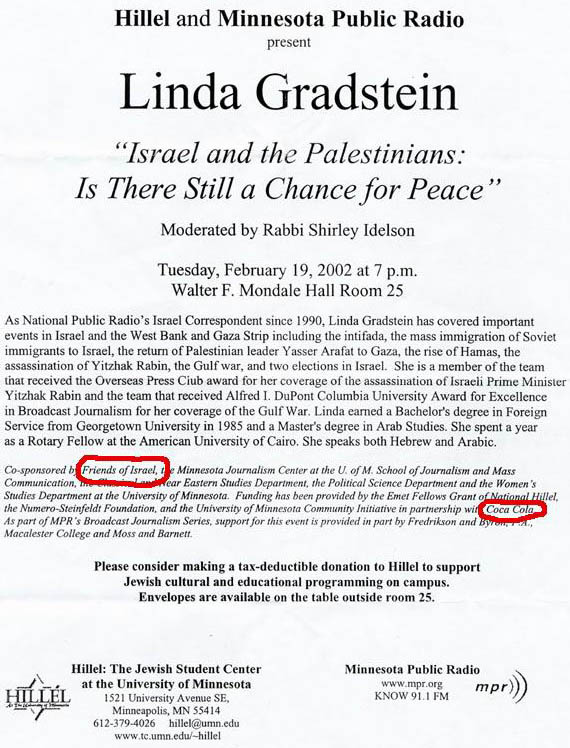 In February 2002, Coca-Cola teamed up with "Friends of Israel" and National Hillel to cosponser a lecture given by the infamous zionist correspondent Linda Gradstein at the University of Minnesota. The Coca-Cola Company funds collaborative research projects between the University of Minnesota and Tel Aviv University through its support of "The Lieberman-Okinow Endowed Chair in Disease Resistance Breeding in Cereal Crops". Three litres of water are used to make one litre of Coca-Cola. In order to satisfy this need for vast amount of water, Coca-Cola is increasingly taking over control of aquifers in communities around the world. These vast subterranean chambers hold water resources collected over many hundreds of years. As such they the represent the heritage of entire communities, Coca-Cola is squantering it resulting in shortages of water in communities around the world. A Coca-Cola bought in India is not the same as one bought in the US or UK - in India it will contain over 30 times the EU limit for pesticides and include banned substances blamed for birth defects and cancer. Trade unions around the world have launched a boycott of Coca-Cola products, alleging that the company's locally owned bottlers in Colombia used illegal paramilitary death squads to intimidate, threaten and kill its workers. Sources inform ''Globes'' that a delegation of Coca-Cola Company (NYSE: KO) executives is due to visit Israel next week to examine Israeli technologies. 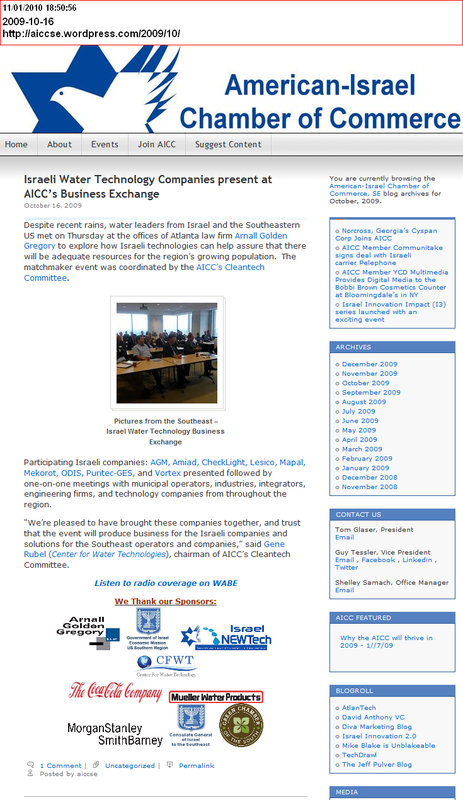 The American Israel Chamber of Commerce Southeast Region arranged the visit. Friedman added that the Coca Cola delegation would include executives and managers involved in investments and mergers, including executives from the company’s investment arm. Coca Cola is interested in a great many companies with innovative technologies that touch on all aspects of its business. These fields include improved energy exploitation, packaging, water, improving financial and organizational procedures, taste and aroma substances, advanced preservatives, green fuels, warehousing, inventory management, and asset management. A delegation of four senior Global Coca-Cola representatives lead by Tom Glazer, president of the Atlanta Israel-America Chamber of Commerce arrived in Yokneam on March 21st in order to examine options for cooperation with leading technological firms of Yokneam-Megiddo and northern Israel, in the areas of water and energy, flavor enhancers, and manufacturing. Yokneam Mayor Simon Alfassi hosted the delegation in his office, with Megiddo Regional Council Mayor, Hanan Erez, joining in welcoming the guests. Tom Glazer was responsible for initiating contacts between Coca-Cola and heads of the municipalities and various company representatives. Glazer has been promoting commercial and business cooperation between Atlanta and Yokneam for 15 years; he is a frequent visitor to the region, arriving several times each year. 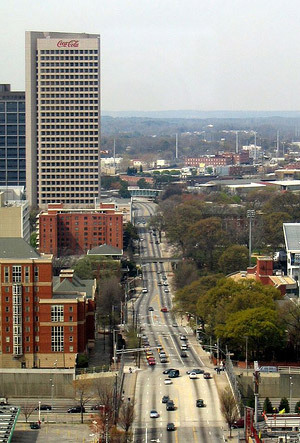 In the past decade about 45 Israeli firms have begun operations in Atlanta thanks to the excellent relationship created between the two sides. While contacts with representatives of Israeli firms were facilitated by Ilan Friedman, the Israeli representative of the American-Israel Chamber of Commerce, Anat Harel, the new director of the Regional Development Unit assisted in all logistic arrangements of this important visit . 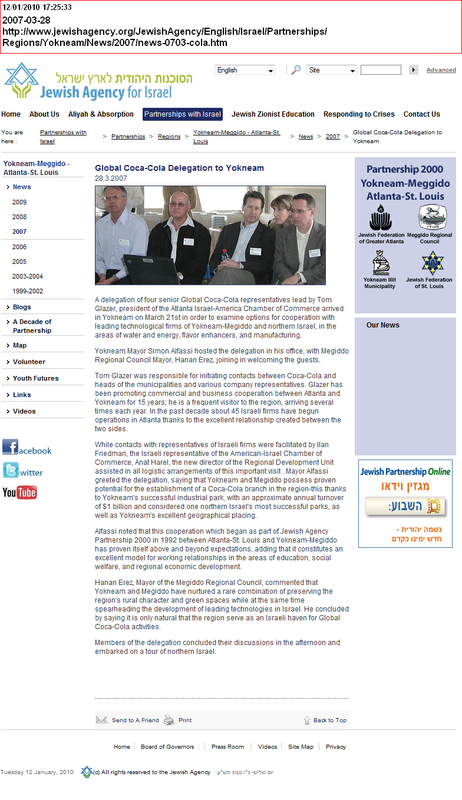 Mayor Alfassi greeted the delegation, saying that Yokneam and Megiddo possess proven potential for the establishment of a Coca-Cola branch in the region-this thanks to Yokneam's successful industrial park, with an approximate annual turnover of $1 billion and considered one northern Israel's most successful parks, as well as Yokneam's excellent geographical placing. Alfassi noted that this cooperation which began as part of Jewish Agency Partnership 2000 in 1992 between Atlanta-St. Louis and Yokneam-Megiddo has proven itself above and beyond expectations.. The 2006 Eagle Star Awards Gala - AICC's largest annual community event - was held at IBM's Northside Parkway corporate campus. 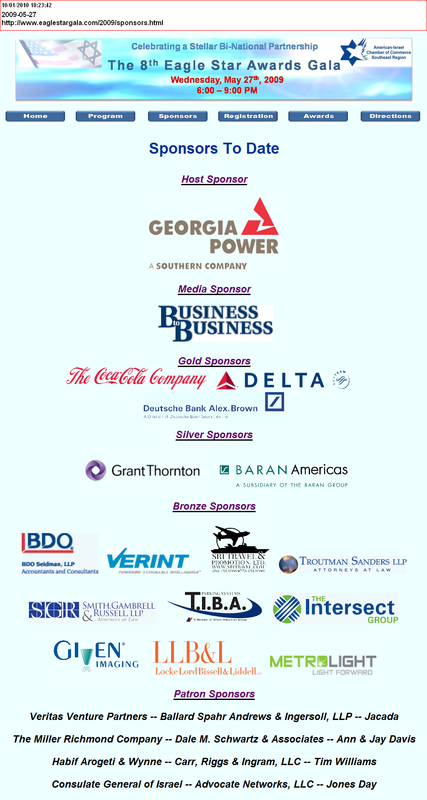 Corporate sponsors included IBM (Host), Atlanta Business Chronicle (Platinum), The Coca-Cola Company (Gold), Grant Thornton, BellSouth, Delta Air Lines, and Smith Gambrell & Russell (Silver), McKesson, TTI Telecom, Veritas Venture Partners, Troutman Sanders, DeutscheBank Alex.Brown, National Distributing Company, Sutherland Asbill & Brennan, WMLB, and Given Imaging (Bronze), and the Consulate General of Israel, Miller Richmond Company, Marsh and McLennan, Omni National Bank, and The Blass Group (Patron). ..the 6th annual Eagle Star Gala that was held at Coca-Cola Co.’s headquarters on North Avenue. The gala recognizes companies that have made significant achievements to strengthen the Israel-Southeast U.S. business relationship. The chamber’s work with Coca-Cola, the host of the Eagle Star Gala, has also been a success, according to Mr. Glaser - president of the American-Israel chamber. In March, the American-Israel chamber led Coca-Cola executives on a trade mission to Israel, which was the first time the chamber had ever taken representatives from a single corporation to the country. Coca-Cola’s Israel country manager and strategic planning director for the Eurasia Group, Richard Izsak, was the keynote speaker at the Eagle Star Gala. He mentioned Coca-Cola’s interest in collaborating with Israeli companies during his speech. “Israel is clearly a place for innovation…and home to innovative companies in a variety of fields vital to the future strategic growth and competitive advantage of the Coca-Cola Company – nanotechnology, life sciences, agriculture, water treatment, flavors and fragrances, and more,” Mr. Izsak is quoted in a chamber press release. If Coca-Cola ends up collaborating with Israeli companies, Mr. Glaser told GlobalAtlanta that he would consider taking other Southeast-based corporations on trade missions to the country. 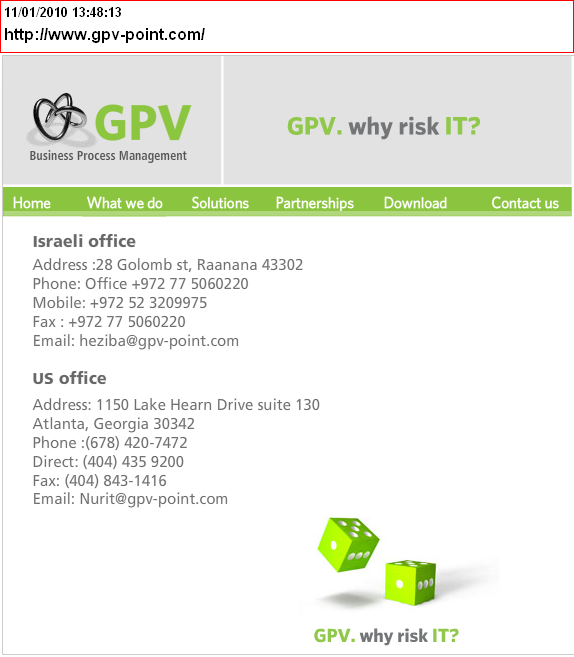 There are currently 40 Israeli companies that have operations in Georgia. According to the Georgia Department of Economic Development, the country is Georgia’s 18th largest trading partner. ..the Central Bottling Company is a group of companies with a combined annual turnover of over $900 million..
..CBC hhas held the Israel franchise for Coca-Cola products since 1968, which today include Coca-Cola, Diet Coca-Cola, Coca-Cola Zero, Fanta, Sprite, Nestea, and Kinley Soda. It is among Coca-Cola’s ten largest single-plant bottling facilities worldwide, and Israel has one of the world’s highest per capita consumption of Coca-Cola products. Established in 1942, Tara was aacquired by the Group in 2004. The country’s second largest dairy in terms of milk processing, its workforce of 450 processes 140 million liters of milk annually, with a 12% market share and products including milk drinks, cheeses, yogurts and spreads. Fully owned by The Central Bottling Company (Coca Cola Israel) of Moshe (Muzi) Wertheim. Subsidiaries: Meshek Zuriel Dairy, Ramat Hagolan Dairies. The company has an exclusive agreement with Müller (Germany) to produce and market Müller's products in Israel. The company is a major shareholder of Meshek Zuriel Dairy (approx. 52%), which owns a dairy farm in the settlement of Shadmot Mechola in the occupied Jordan Valley. Additionally, the company holds a third of the shares of Ramat Hagolan Dairies, which is located in the occupied Golan Heights, and products of the company are manufactured there. Owned by Strauss (through Gideon Holdings) (33%) and Tara (33%). The company's facilities are located in the industrial zone of Katzerin, an Israeli settlements in the occupied Golan Heights. Over the course of 123 years, the men and women of the Coca-Cola system have built one of the world's most recognized and valued brands. In fact, today, Coca-Cola is the second-most universally recognized term on the planet. Only the term "okay" is recognized by more people around the world. The strength... the resolve... and the sustainability of our brand is directly related to the social license that we have earned from billions of consumers around the world over all these years. It's an honor and a responsibility we don't take lightly and which we will never take for granted. In today's connected global economy and interwoven social networks, a brand with 123 years of credibility can be discredited -- and even destroyed -- in a matter of 123 seconds. Our vision of sustainability at Coca-Cola is a world where all people have access to safe water, where our packaging is a valuable resource for the future, and where our communities and our neighbors are prosperous. We have seen through our own experiences -- time and again -- that our business in any market is only as healthy and sustainable as the community in which we operate. For instance, here in Israel, our great bottling partner, Central Bottling Company (CBC), has placed a great deal of innovation focus on water use. These initiatives have resulted in the highest rates of water efficiency among the 200 countries we serve. And they carry a clear environmental message in a country -- and a planet -- where water preservation is of utmost importance. Last summer I had the great privilege of being here in Israel to celebrate the 4 th anniversary of CBC with my good friends Muzi Wertheim and Ronnie Kobrovsky..
..Israel, of course, has long been a beacon of women's leadership in business, education, government, military, science and the arts. Golda Meir -- one of the great leaders of her time -- really reflected the national psyche towards sustainability and social responsibility when she said... "We do not rejoice in victories. We rejoice when a new kind of cotton is grown and when strawberries bloom in Israel." ..A great example of a socially responsible culture-building experience is the relationship we've cherished over the years with Special Olympics. There's no question that The Coca-Cola Company has seen further -- and gone further -- through our 41-year partnership with Special Olympics. Special Olympians and their family members like Tali Kornhauser right here in Israel are truly special people. Last year, I had the good fortune of meeting Tali and several Special Olympic athletes from Israel, including her daughter, Lin. Tali graciously invited me to be here today.. It was confirmed yesterday that a 21-year-old Down's syndrome athlete from Palestine, who was unable to cross the Israeli-controlled border, will not be attending the Games. Mr Lyad Abuelkheir, who was due to compete in the handball competition, was not allowed to cross the border between Gaza and Egypt despite holding an Irish visa. The chairman of the host town committee in Kinsale, Co Cork, expressed frustration at the actions of the Israeli authorities. We've also set up am incubator program in Israel that focuses on new ideas and technologies emerging in areas like packaging, functional ingredients and water usage. Our goal is to select the most promising technologies, test them and commercialize them. The world's food industry needs innovation like never before. This year's conference takes place at a critically important and challenging time for the world's food industry... and at an important time for Israel as you celebrate your 60th anniversary. ..The dinner was sponsored and chaired by another backer of the BESA Center, Muzi Wertheim, a well known Israeli businessmen who is the owner in Israel of the Coca Cola Company and of Bank Mizrachi, and former chairman of the U.S.-Israel Chamber of Commerce. 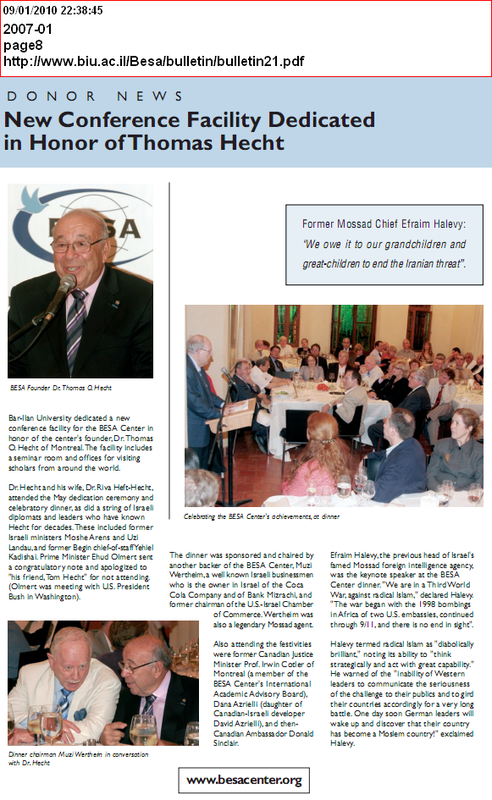 Wertheim was also a legendary Mossad agent..
Efraim Halevy, the previous head of Israel's famed Mossad foreign intelligence agency, was the keynote speaker at the BESA Center dinner. "We are in a Third World War, against radical Islam," declared Halevy..
AICC is blessed with a strong leadership representing the constituencies of our membership including executives from Southeastern corporations, technology companies, and professional firms as well as Israeli companies' top management from their US or regional headquarters based in the Atlanta area. They are committed to opening doors for Israeli companies within their own companies and network of connections. 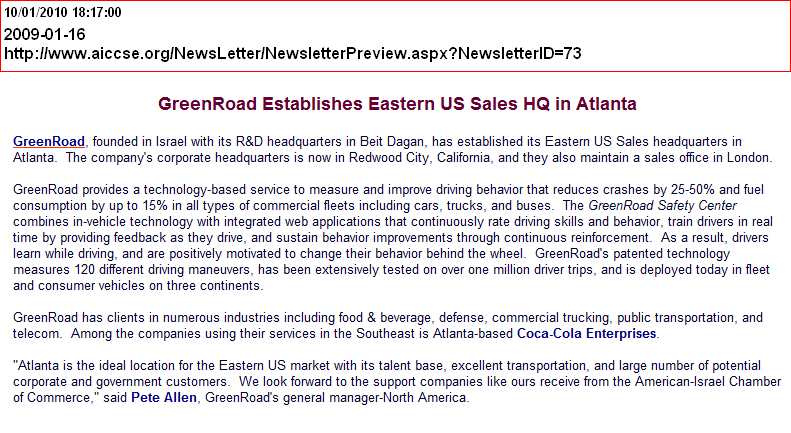 GreenRoad, founded in Israel with its R&D headquarters in Beit Dagan, has established its Eastern US Sales headquarters in Atlanta. The company's corporate headquarters is now in Redwood City, California, and they also maintain a sales office in London. GreenRoad provides a technology-based service to measure and improve driving behavior.. combines in-vehicle technology with integrated web applications that continuously rate driving skills and behavior, train drivers in real time by providing feedback as they drive..
GreenRoad has clients in numerous industries including food & beverage, defense, commercial trucking, public transportation, and telecom. Among the companies using their services in the Southeast is Atlanta-based Coca-Cola Enterprises. "We look forward to the support companies like ours receive from the American-Israel Chamber of Commerce," said Pete Allen, GreenRoad's general manager-North America. Benjamin Ben-Eliezer, Israel's Minister of Industry, Trade & Labor, visited Atlanta on September 9th. His visit was coordinated by the American-Israel Chamber of Commerce, SE Region in cooperation with the Israel Economic Mission and Consulate General of Israel with support of the Metro Atlanta Chamber. "We acknowledge and appreciate AICC's many contributions to building business between the US and Israel over the last 18 years. Your organization is a model to be emulated around the world," said the Minister. AICC arranged meetings for the Minister with top executives of major corporations in the area including GE, Mueller Water Products, The Coca-Cola Company, and AT&T. He also met with Georgia Governor Sonny Perdue and Ken Stewart, Commissioner of the Georgia Department of Economic Development. A highlight of the one-day visit was the Minister's participation in a meeting of AICC's Board of Directors and a special reception, attended by almost 150 chamber members that followed, hosted by The Coca-Cola Company. Board members had the opportunity to have direct dialogue with the minister about economic development. At the reception, Bilal Kaafarani, Coca-Cola's Senior VP of Research & Innovation, shared exciting progress about their "incubator" project in Israel that is sourcing Israeli innovation in a number of sectors of importance to their company. "It was an honor for us to host Minister Ben-Eliezer and his delegation and a unique opportunity for them to see our organization in action, better understand the strength of our region, and consider ways we can develop even more sophisticated cooperation with Israel," said AICC Board Chairman Charlie Harrison. 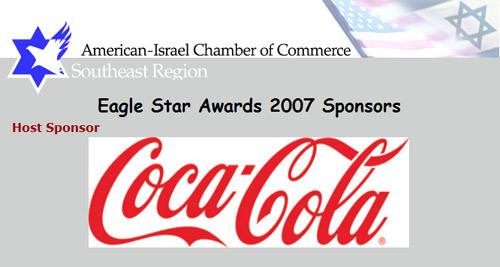 American-Israel Chamber of Commerce Eagle Star Awards 2009 - Coca-Cola was a Gold Sponsor. The Senate could consider as early as today a resolution promoted by AIPAC intended to effectively endorse the continuation of the Israeli military assault in Gaza. In particular, the resolution does not call for an "immediate ceasefire," but for a "durable and sustainable ceasefire," which is the Bush Administration's code for continuing the war - the excuse the Administration has given for why the war must go on. 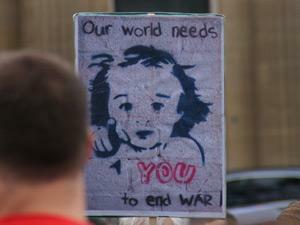 Nor does the resolution call for ending the blockade on Gaza, even though the blockade is also an act of war. Last Friday, Amnesty International USA sent an "urgent" letter to Secretary of State Rice, calling on her to end the Bush Administration's "lopsided response" to the ongoing Israeli military attacks on Gaza that have killed more than 600 Palestinians, including some 200 children. 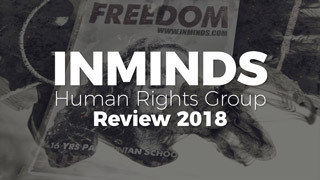 "Amnesty International USA is particularly dismayed at the lopsided response by the U.S. government to the recent violence and its lackadaisical efforts to ameliorate the humanitarian crisis in Gaza," the letter said. Amnesty urged the Bush Administration to "go beyond rhetoric and exert concrete pressure on both parties to immediately cease unlawful attacks." Unfortunately, the U.S. Senate, at the urging of AIPAC, is poised to embrace the Bush Administration's "lopsided" and "lackadaisical" response. 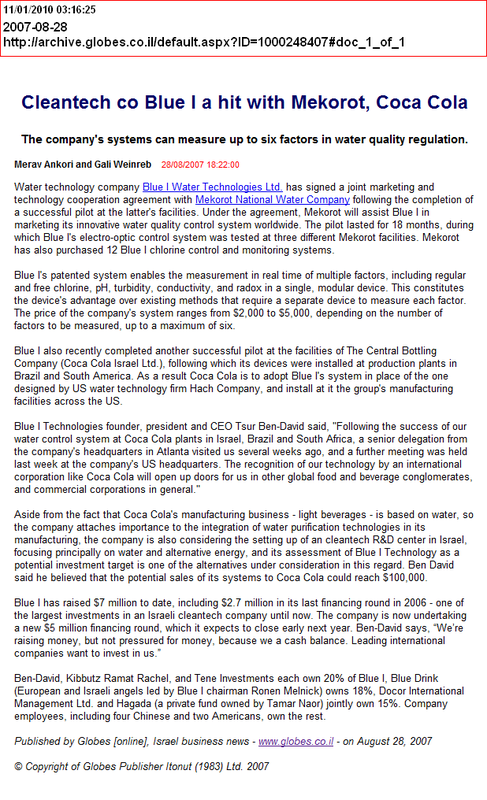 Blue I also recently completed another successful pilot at the facilities of The Central Bottling Company (Coca Cola Israel Ltd.), following which its devices were installed at production plants in Brazil and South America. As a result Coca Cola is to adopt Blue I's system in place of the one designed by US water technology firm Hach Company, and install at it the group's manufacturing facilities across the US. Blue I Technologies founder, president and CEO Tsur Ben-David said, "Following the success of our water control system at Coca Cola plants in Israel, Brazil and South Africa, a senior delegation from the company's headquarters in Atlanta visited us several weeks ago, and a further meeting was held last week at the company's US headquarters. The recognition of our technology by an international corporation like Coca Cola will open up doors for us in other global food and beverage conglomerates, and commercial corporations in general." 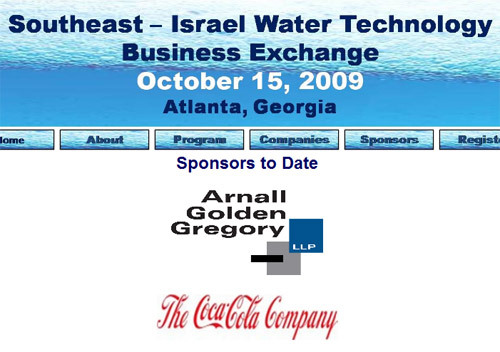 Aside from the fact that Coca Cola's manufacturing business - light beverages - is based on water, so the company attaches importance to the integration of water purification technologies in its manufacturing, the company is also considering the setting up of an cleantech R&D center in Israel, focusing principally on water and alternative energy, and its assessment of Blue I Technology as a potential investment target is one of the alternatives under consideration in this regard. Ben David said he believed that the potential sales of its systems to Coca Cola could reach $100,000. Israeli venture capital fund Challenge Fund - Etgar has signed an agreement with Coca-Cola Co. (NYSE: KO) under which it will locate technologies and knowledge opportunities on the firm's behalf and manage its investments in Israel. 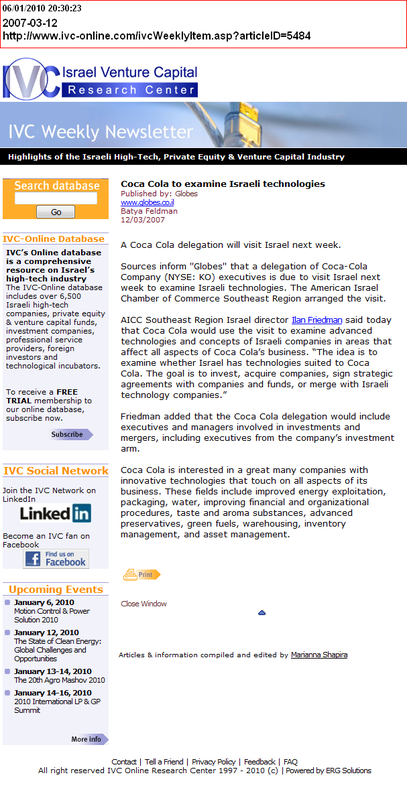 The agreement with Coca Cola is exceptional in the Israeli venture capital industry. Corporate entities have invested and continue to invest either in companies directly or in venture capital funds themselves, but this agreement is unlike any of these models. Sources inform ''Globes'' that Coca Cola has not allocated any capital to finance the implementation of the agreement, but has promised a blank check for any suitable investment. Challenge will locate suitable companies and Coca Cola will decide whether it wishes to invest in them. Challenge has not raised a new fund since 2000, and the latest agreement with Coca Cola may well provide it with the impetus it needs to do so. 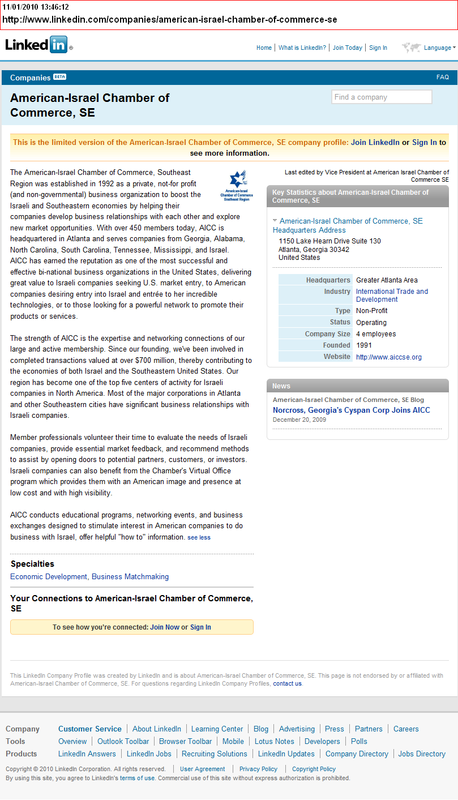 The American-Israel Chamber of Commerce is a bi-national business association with the mission of increasing economic development by fostering understanding, cooperation, and business relationships between Israel and the Southeast. Since its founding in 1992, AICC has been involved in completed transactions valued at more than $950 million, creating jobs and benefiting the economies of both Israel and the Southeast. AICC targets a range of projects involving import, export, research & development, direct investment and joint ventures. Key areas of focus include software, telecommunications, cleantech, life sciences, real estate, and security. Keynote Address: Danny Ayalon, Israeli Ambassador to the U.S. Event corporate sponsors included IBM (Host), Atlanta Business Chronicle (Platinum), The Coca-Cola Company (Gold), Grant Thornton, BellSouth, Delta Air Lines, and Smith Gambrell & Russell (Silver), McKesson, TTI Telecom, Veritas Venture Partners, Troutman Sanders, DeutscheBank Alex.Brown, National Distributing Company, Sutherland Asbill & Brennan, WMLB, and Given Imaging (Bronze), and the Consulate General of Israel, Miller Richmond Company, Marsh and McLennan, Omni National Bank, and The Blass Group (Patron). For the first time in years, Atlanta has played host to a member of the Israeli cabinet. Brigadier-General Binyamin Ben-Eliezer, Minister for Industry, Trade, and Labor, made a trip to Atlanta Sep. 9 to strengthen the already prosperous economic relationship between Israel and the South..
..the Minister met with other major area economic players at Coca-Cola, and discussed Israel's economy with, among others, Coke CEO Muthar Kent and AT&T Vice President William Hague. The visit was capped off with a reception at Coca-Cola, hosted by the beverage giant and the American Israel-Chamber of Commerce. The AICC's regional chapter and its President Tom Glaser, based in Atlanta, have played the lead role in fostering investment to and from Israel. Minister Ben-Eliezer currently serves in the Knesset as a member of the Labor Party. He has previously held posts as Israel's Minister of Defense, Deputy Prime Minister, Minister of National Infrastructure, Minister of Communications, and Minister of Housing Construction. He was born in 1936 in Baghdad, Iraq and joined the IDF in 1954. There he served laudably during the Six Day War, the Yom Kippur War, and the War of Attrition. He was the First Commanding Officer in Southern Lebanon, appointed in 1977, acting as a liaison between the local Christian militias and Israel. From 1978-1981 he was the Military Governor of the West Bank and from 1983-1984 he was the Government Coordinator of Activities in the Israeli territories. The [Israeli] Consulate and Coca-Cola share a strong relationship and the firm is one of Israel's close trading partners. The company Atlanta headquarters was also the host of a September event in honor of the visiting Brig. General Benyamin Ben-Eliezer, Israel's Minister for Industry, Trade, & Labor. Coca-Cola Israel sponsors "KKL-JNF World Leadership Conference"
" The Coca Cola Company has been a continental sponsor of the JCC Maccabi Games® for over 14 years"
 The Jewish Agency recruits and trains dynamic young and talented shlichim (emissaries) from Israel for educational placement in Jewish communities, youth movements, schools, Jewish organizations and campuses around the world as Areivim. These shlichim are committed to strengthening Jewish identity and create a connection between Diaspora Jewry and the State of Israel. The young community shaliach works directly within the community - with children, youth, students and adults. He or she endeavors to impart Jewish heritage and Zionism, to encourage members of the community to visit Israel. Areivim will work to provide the community with a taste of Israel.. and representing Israel before the general public..
Shlichut Requirements: Single and resident in Israel; aged 23-30; graduate of IDF.. Hasbara - Israel Advocacy skills..
An Israeli Cabinet member has postponed a trip to Egypt, amid media reports his army unit may have killed 250 Egyptian POWs during the 1967 Middle East war. Binyamin Ben-Eliezer denies the allegations, saying the dead were Palestinian fighters killed in combat. Mr Ben-Eliezer, Israel's infrastructure minister, had been due in Cairo this week to discuss natural gas imports. "Following false publications in the Egyptian press, both sides decided to postpone," his spokesman said. A senior Israeli official quoted anonymously by AFP said the affair was becoming a major diplomatic incident. "The relations between the two countries are compromised," the official was quoted saying. Israel Radio said intelligence chief Omar Suleiman, who takes a lead role in Egypt's negotiations with Israel, told Mr Ben-Eliezer not to come because he could be arrested. The claims were aired last week in an Israeli documentary, described by its director as a "self-examination" of Israel's use of force during the war. "In Egypt, the opposition is taking the story and distorting it into an issue to disrupt the peace," film-maker Ron Edelist said on Israel Army Radio. The Egyptian media reports said the documentary showed that Mr Ben-Eliezer's unit killed 250 Egyptian prisoners of war in the Sinai peninsula rather than taking them to POW camps. The affair has dominated Egyptian headlines for two days and it sparked an angry debate in parliament. Egyptian foreign ministry officials have requested a copy of the film from the Israeli government and summon its ambassador in Cairo to explain Israel's position. Israel captured the arid Sinai peninsula from Egypt in the Six Day war of 1967. The two sides signed a peace treaty in 1979 which saw the territory returned. Claims that Israeli troops massacred about 1,000 Egyptian POWs in several incidents in Sinai were first raised in 1995 by Israeli military researcher Aryeh Yitzhaki. At the time Mr Ben-Eliezer said he was not aware of any POW killings by his troops. The story soured relations between Israel and Egypt for months. Just as reports of the 1956 massacres implicate Rafael Eitan, a prominent right-wing figure in contemporary Israeli politics, reports now coming out of Israel regarding the 1967 war pose a serious threat to the current Labor government, because they implicate "Fouad" Ben Eliezer, the minister of housing. Aryeh Yitzhaki, a mainstream historian, states that "in the Six Day War the IDF killed approximately 1,000 Egyptian soldiers who had ceased functioning as a fighting force." Apparently, Eliezer's Shaked unit was responsible for one-third of those murders, which occurred during an operation called "Gazelle Hunt" because the IDF slaughtered the soldiers as they retreated (Ha'aretz, 8/17/95). Dr. Yitzhaki reports that Palestinian volunteers in the Egyptian army were executed Nazi-style in E1-Arish, another area of the Sinai, in 1967. Gabby Biron, a right-wing journalist who witnessed the murder of about 10 POWs before being forced to leave, confirmed Yitzhaki's report. Biron says that Israeli intelligence officers put POWs one by one through a short interrogation. If the IDF determined by the prisoner's accent that he was Palestinian, he was taken behind the building, forced to dig his own grave, and shot. According to Holocaust survivors, the incident bears a striking similarity to Nazi tactics. Were these crimes of passion or part of a planned campaign? Until a comprehensive investigation is undertaken, we can only speculate. As regards the "Gazelle Hunt" murders, Israeli leftist activist Eli Aminov says, "It is clear to any military expert that the order given to the Shaked patrol was part of a more extensive body of orders. This is evident from the large number of Egyptian soldiers killed in battle during June 1967 compared to the number of prisoners taken. The Egyptian army was crushed and fell apart after a few battles and most of it retreated in disorganization" (News From Within, 9/95). Unsurprisingly, the Egyptian public is outraged by these reports. (Palestinians may be equally outraged, but for them the new reports merely elaborate on known atrocities that, however, Western reporters had refused to credit until Israelis confirmed the reports in print.) After Cairo's semi-official newspaper Al-Ahram reported that Egyptian officials found two mass graves near El-Arish in September said to contain the remains of POWs and unarmed civilians executed by the IDF in 1967, opposition papers called on the Mubarak regime to withdraw its ambassador from Tel Aviv in protest. The Muslim Brotherhood has linked its denunciation of the massacres with its opposition to the peace process. From the center and left of the political spectrum, more than 200 prominent citizens formed a committee to seek justice. Egyptian judges and international law professors met at Cairo University to assert that Egypt has the right to demand extradition and to try those allegedly responsible. Several private lawyers have filed lawsuits against the Israeli government on behalf of the victims' families. The Egyptian Organization for Human Rights sent evidence to U.N. Secretary-General Boutros Boutros-Ghali and called for a full U.N. inquiry. Military historian Aryeh Yitzhaki told The Associated Press on Wednesday that Israeli troops carried out several mass killings in 1967 in which about 1,000 Egyptian prisoners were killed in the Sinai. Yitzhaki, who worked in the army's history department after the war, said he and other officers collected testimony from dozens of soldiers who admitted killing POWs. On June 9-10, 1967, about 400 Egyptian and Palestinian prisoners were killed in the sand dunes of El Arish, Yitzhaki said. He said it began when some of the prisoners opened fire after surrendering and fatally shot two Israeli soldiers. He said Israeli soldiers "became angry and fired at every Egyptian and Palestinian ... for several hours," Yitzhaki said. "Commanders lost control over the force." Yitzhaki said there were six or seven other incidents in which Israeli troops opened fired on POWs, usually after "provocations. Yitzhaki said a report on the killings submitted to his superiors has been locked away in a safe at military headquarters. "The whole army leadership, including (then) Defense Minister Moshe Dayan and Chief of Staff Rabin and the generals knew about these things. No one bothered to denounce them, Yitzhaki said. Yitzhaki said some of the Soldiers involved in the killings were under the command of Binyamin Ben-Eliezer, now housing minister. Ben-Eliezer's spokeswoman, Ofra Preuss, said the minister "does not know anything" about such killings. Another Israeli historian, Uri Milstein, said there were many incidents in the 1967 war in which Egyptian soldiers were killed by Israeli troops after they had raised hands in surrender. "It was not an official policy, but there was an atmosphere that it was OK to do it," said Milstein, a member of the New York Academy of Sciences. "Some commanders decided to do it, others refused. But everyone knew about it." It was the publication of the claims, made by Dr. Aryeh Yitzhaki, about what really occurred during the Six Day War [June 1967] that caused me to recall what had happened and what I and my comrades had seen during my reserve service. On the third day of that war we saw Egyptian POWs being executed after a "court martial". The explanation given to us was that those killed were Palestinian "Fedayin" fighters from the Gaza Strip who had disguised themselves as soldiers in order to escape from our forces". I witnessed their executions with my own eyes in the morning of June 8, 1967 in the airport area in al-Arish, Sinai. This was where the headquarters of the brigade commanded by General Israel Tal, in which I had served, were located. On that morning we heard that hundreds of Egyptian POWs were being held in the headquarters and we had time to go to look at them. About 150 POW's were held in an open building serving as a cover for airplanes, surrounded on three sides by high sand-bag embankments. They were densely crowded and sitting on the ground with their hands on the back of their necks. I followed the procedure. The POW was escorted to a distance of about 100 meters from the building and given a spade. I watched the POW digging a big pit which took about 15 minutes. Then the policemen ordered him to throw out the spade. When he did so one of them pointed his Uzi gun at the POW inside the pit and shot two short bullet bursts, consisting maybe of three four bullets each. The POW fell dead. After a few minutes another POW was escorted to the same pit, forced to go into it and was also shot dead. A third POW was brought to the same place and also shot dead. Since the process was repeated a number of times, the grave was filled up. I witnessed about ten such executions. We were standing there, near the place where the POW's were being held and we watched silently. The fact that a number of soldiers were watching the spectacle was apparently unwelcome because after a time Colonel Eshel, the commander of the communication battalion of the brigade, appeared and shouted at the soldiers, ordering them to leave. When we didn't show any willingness to obey, Colonel Eshel pulled out his personal revolver and threatened us with it. Raising his voice even more, he was able to get the soldiers to obey, including me. "Coca Cola announces its plans to open a plant to produce Coca Cola in Israel, despite the Arab boycott"
The American Israel Chamber of Commerce and the Government of Israel Economic Mission honored Coca-Cola and chairman Roberto Goizueta at the Israel Trade Award Dinner in Atlanta on May 29. Goizueta has worked for Coca-Cola since 1954, transferring to the Atlanta headquarters in 1964. In 1980 he was elected president and chief operating officer. 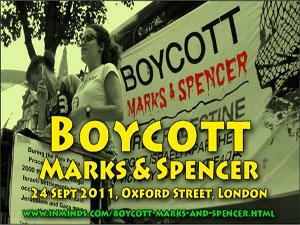 Coca-Cola has served the Israeli market for 30 years, refusing to abide by the Arab League economic boycott of Israel. For decades, this cost Coca-Cola the opportunity to sell its products in Arab countries. Prior to 1992, Pepsi had backed the other horse, choosing to service the lucrative Coke-less Arab markets in the boycott days. For its decision to stay out of Israel (and thus itself avoid being placed on the Arab League's blacklist), Pepsi faced continued criticism in the United States. In certain circles it was considered politically incorrect to be seen drinking Pepsi. The Anti-Defamation League of the B'nai B'rith investigated claims that Pepsi was participating in the boycott of Israel. U.S. law prohibited American companies from taking part in this boycott, but the law was vague, and outright violations were hard to pin down. Nothing ever came of the investigations, and Pepsi was never placed on the American government's list of violators. On Tuesday February 19th 2002, Coca-Cola helped through a partnership with the University of Minnesota, fund a pro-Israel propaganda lecture given by Linda Gradstein. 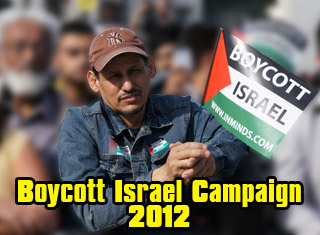 The event was cosponsored by zionist organizations like Friends of Israel, and National Hillel. 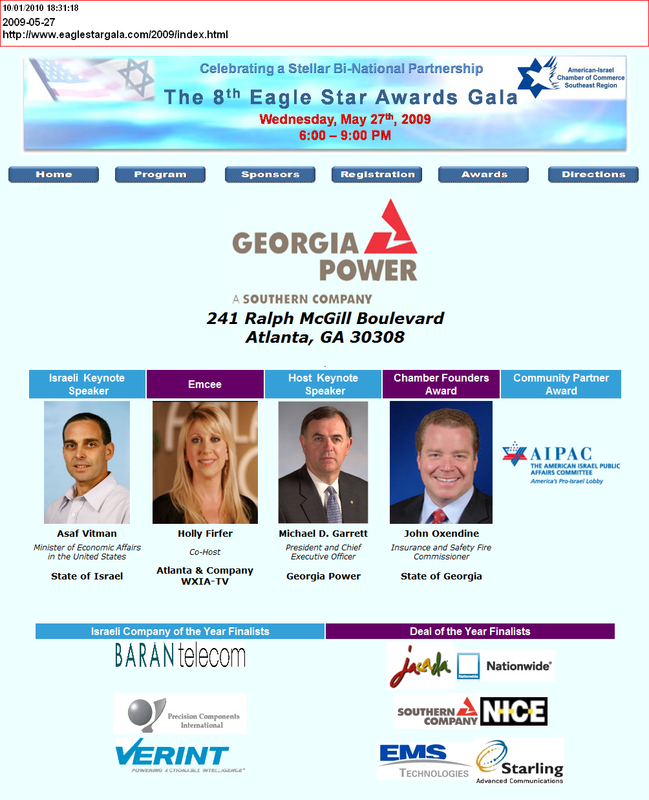 On October 11th 2001, Coca-Cola World Headquarters hosted the American-Israel Chamber of Commerce Eagle Star Awards Gala in which “Israeli Company of the Year”, “Israeli Technology of the Year”, etc awards were given out by Israel’s Economic Minister to North America Zohar Peri. The Coca-Cola Company was also the Platinum sponser of the whole event. Coca-Cola Israel is sponsering training programmes for its workers from the immigrant communities, especially from the former Soviet Union, who have not been brought up in the zionist "culture" and who "often have difficulty integrating". 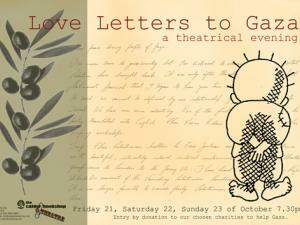 The subject matter of the program includes the Israeli-Arab conflict. The workers attend weekly meetings where participants have to read and analyze texts. The organisation running the program, Meitar, is also funded by the Jewish Agency, and the Israeli Ministries of Education and Absorption. Coca-Cola Israel, in return for $55 million in tax breaks from the Israeli government, is to build a new plant in Israel on land stolen from the Palestinians. The new plant will employ 700 israelis. The land in question is Qiryat (Kiryat) Gat. Intel is already facing possible legal problems for building its chip plant on the same stolen land. The Kiryat Gat industrial park is built on the lands of the village of Iraq Al Manshiya whose residents were ethnically cleansed in 1949 in contravention of International law. Haaretz has reported that The Central Bottling Company (Coca-Cola Israel) has bought the 51 percent controlling interest in the Tavor Winery, furthering its ambition to have a holding in every sector of the beverages business. Central Bottling Company confirmed the report, which brings the soft drinks company smack into the heady realm of wine making, though refused to be drawn on the price paid. For years the Central Bottling Company had been looking for a medium-sized or big winery to buy and turn into a subsidiary. Tavor Winery an Israeli company is based on occupied Palestinian land at the foot of Mount Tavor, overlooking the Sea of Galilee. The fascinating saga is chronicled at length in previously classified State Department documents. Two officials with the rank of undersecretary, Paul Warnke from the Pentagon and Parker Hart from the State Department, tried to make the sale of 50 Phantom fighter jets contingent upon Israel forgoing nuclear weapons and surface-to-surface missiles. Warnke and Hart enlisted the support of Clifford, Rusk and National Security Adviser Walt Rostow, hoping that the lame duck Johnson - who was waiting to see who would triumph in the November 5 election, his vice president Hubert Humphrey or the Republican candidate Richard Nixon - would press Israel to give in and become a signatory to the nuclear non-proliferation treaty, thus giving Johnson something to leave behind as a positive legacy of his presidency, so badly bloodied by Vietnam. In the deal, according to the documents, Warnke set down four tough conditions for Israel: It shall not deploy or attempt to deploy strategic missiles without prior warning and American consent, it shall not manufacture or acquire strategic missiles and nuclear weaponry without prior warning and American consent; it must accede to semi-annual inspection (Israel insisted on the term "visits") at certain sites, including Dimona, and it shall supply full information regarding any plan to obtain nuclear capability, and sign and ratify the nuclear non-proliferation treaty..
After the election, the victor, Nixon, refused to help Johnson compel Israel to join the non-proliferation regime. Israel's Judgment Day weapon, the analysts said, was a guy named Abe Feinberg, a friend of Johnson, who persuaded him to shelve the conditions for the Phantom sale. In fact, two coups were achieved at once: For the first time, Israel would be receiving an advanced American fighter jet (the Skyhawk, the model that preceded the Phantom, was inferior to it), and Coca-Cola, which Feinberg obtained the license to manufacture here. Coca-Cola's operations rely on access to vast supplies of water, as it takes almost three litres of water to make one litre of Coca-Cola. In order to satisfy this need, Coca-Cola is increasingly taking over control of aquifers in communities around the world. These vast subterranean chambers hold water resources collected over many hundreds of years. As such they the represent the heritage of entire communities. Coca-Cola's operations have particularly been blamed for exacerbating water shortages in regions that suffer from a lack of water resources and rainfall. Nowhere has this been better documented than in India, where there are now community campaigns against the company in several states. research carried out by War on Want in the Indian states of Rajasthan and Uttar Pradesh affirms the findings from Kerala and Maharastra that Coca-Cola's activities are having a serious negative impact on farmers and local communities. Coca-Cola established a bottling plant in the village of Kaladera in Rajasthan at the end of 1999. Rajasthan is well known as a desert state, and Kaladera is a small, impoverished village characterised by semi-arid conditions. Farmers rely on access to groundwater for the cultivation of their crops. 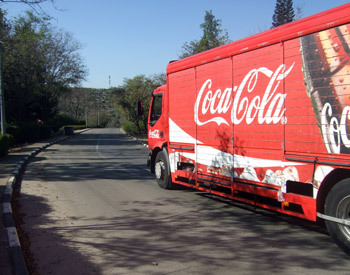 but since Coca-Cola's arrival, they have been confronted with a serious decline in water levels. Locals are increasingly unable to irrigate their lands and sustain their crops, putting whole families at risk of losing their livelihoods. Local villagers testify that Coca-Cola's arrival exacerbated an already precarious situation. Official documents from the government's water ministry show that water levels remained stable from 1995 until 2000, when the Coca-Cola plant became operational. Water levels then dropped by almost 10 metres over the following five years. Locals fear Kaladera could become a 'dark zone', the term used to describe areas that are abandoned due to depleted water resources. Other communities in India that live and work around Coca-Cola's bottling plants are experiencing severe water shortages as well as environmental damage. Local villagers near the holy city of Varanasi in Uttar Pradesh complain that the company's over-exploitation of water resources has taken a heavy toll on their harvests and led to the drying up of wells. As in Rajasthan and Kerala, villagers have held protests against the local Coca-Cola plant for its appropriation of valuable water resources. 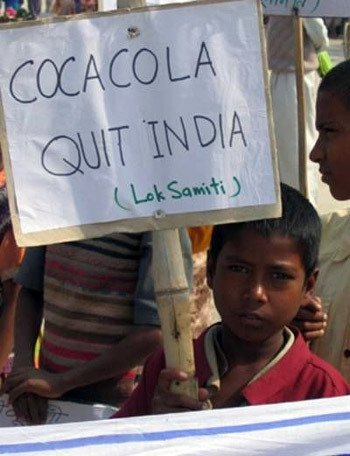 In the now infamous case of Plachimada in the southern state of Kerala, Coca-Cola's plant was forced to close down in March 2004 after the village council refused to renew the company's licence, on the grounds that it had over-used and contaminated local water resources. Four months earlier, the Kerala High Court had ruled that Coca-Cola's heavy extraction from the common groundwater resource was illegal, and ordered it to seek alternative sources for its production..